United states likes paradise for student who want to taking higher study. Why do i say like that? We can see many US universities in list of 100 best university in the globe. Every year there are many organizations that taking research about universities rangking, and we can see that US universities always in better rangking than other. Here are 5 best universities in US year 2014 – 2015. California institute of technology (Caltech) is located in Pasadena, California. The university established in 1891 dan sits on area approximately 50 ha. Although not to wide, the university have success shifted Harvard university from 1st place because of its quality. You may know Linus Pauling, man who have 2 nobel prizes, is one of best graduate from Caltech. Harvard university was become best university in the globe for several years. But in the year 2014 – 2015 the university become 2nd place after shifted by Caltech. It is established in 1636, and become one of the oldest university in the globe. The university located in massachussets in area as wide as 2000 ha. As big and old university, there are many famous graduates like John F Kennedy, George W Bush, and Barack Obama. Stanford university is a private research university located in Stanford, California. 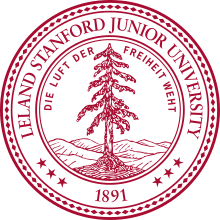 Stanford was founded in 1885 by Leland Stanford, and become prestigious instituton in US. Stanford sits in area as wide as 3300 ha and have motto “The wind of freedom blows”. The university is home for precursor (mother) of internet. Yukio Hatoyama and Herbert Hoover was graduated of the university and become leader of Japan and US. 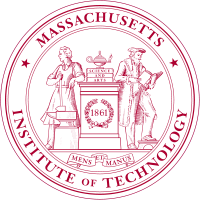 Massachusetts Institute of Technology (MIT) is famous institution located in Cambridge, Massachusetts. People of Cambridge, California may be proud of their City, because there are 2 big universies there. MIT located in area as wide as 68 ha and was founded in 1861. You may often heard about Kofi Annan and Benjamin Netanyahu, they was graduated from MIT. 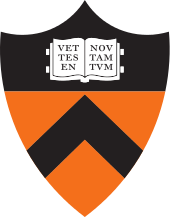 Princeton university is private research university located in Princeton, New Jersey. The university have former names College of New Jersey, and changed in 1896 into Princeton University. The university was founded in in 1746 and sits on about 200 ha area. US president Woodrow Wilson, and James Madison was graduated from the university.